With eight bakeries and a best selling book, it’s time we acknowledge our contribution to making Sydney’s best love bakers a success story. Of course it comes down to a brilliant food offering and delicious food. However we like to believe that Splash’s marketing acumen played some small part. We love the clean, simple, understated branding, from the logo through to the packaging and digital design. 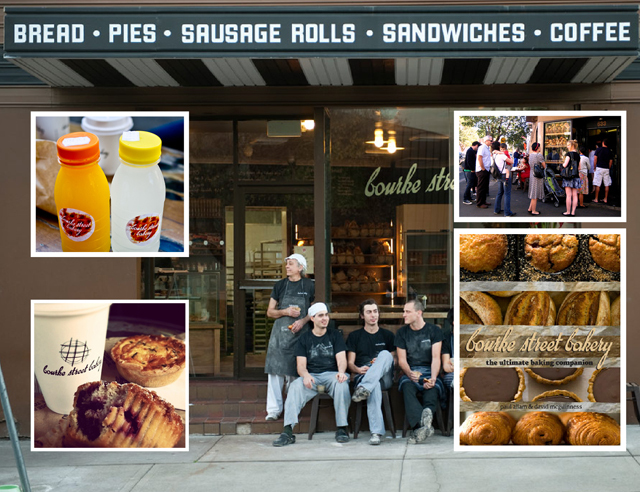 It reflects the Bourke Street Bakery’s honest, soulful products and their artisan skills.